You can remove acrylic sealer from all types of concrete surfaces easily with Deco-Strip. This decorative acrylic sealer stripper is easy to spray on with a hand pump or roll on with a brush. Deco-Strip combines a unique blend of powerful, yet biodegradable and environmentally friendly solvents and surfactants. 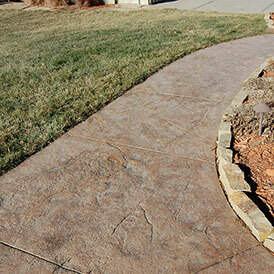 Altogether, these ingredients quickly penetrate and soften decorative concrete acrylic sealers. Spray it On. Wash it Off. 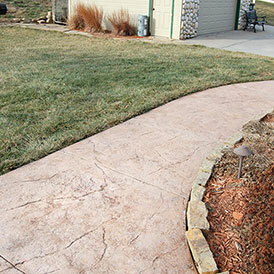 Apply Deco-Strip uniformly across your concrete surface. Then, you'll see the old acrylic sealer begin to soften in about 15 minutes. Reapply for about 45 minutes. Consequently, the acrylic will have completely softened. 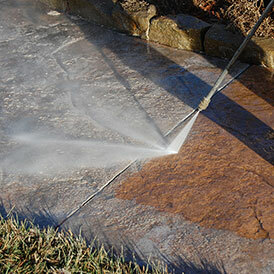 Finally, use a power washer to remove the residue and ultimately restore your decorative concrete back to its original unsealed condition. Eventually, after 24 hours, you're ready to restore the surface with a fresh application of a high-quality, breathable acrylic sealer. You'll want to use a compatible product and therefore, we recommend Nox-Crete's Sparkl-Seal. Special surfactants enable Deco-Strip to emulsify with water, allowing for their disposal through municipal waste water treatment facilities. Deco-Strip does not contain any hazardous solvents like methylene chloride or any aromatic solvents like xylene or toluene. Additionally, it does not contain any highly alkaline or corrosive materials.